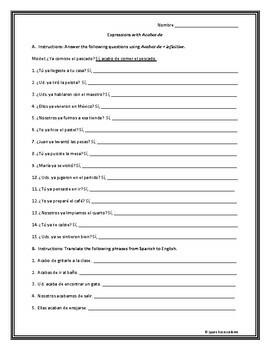 There are 15 questions in the Preterite that must be answered in the affirmative using Acabar de Expressions. 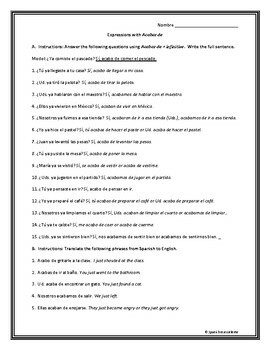 The questions all use the word ya so that the students can see the relationship between the two different grammar points. There are also 5 Acabar de Expressions in Spanish that must be translated into English in order to reinforce meaning.